How Many Credit Cards Are in Use in the UK? Officially the United Kingdom comprises of England, Scotland, Wales and Northern Ireland and between the four realms there is a population of some 61,284,806 souls at last count in 2010 and as such is one of th most densely populated countries in the world given that the UK itself is only about twice the size of New York State (population of around 18,976,457). But how many credit cards are packed in there too? 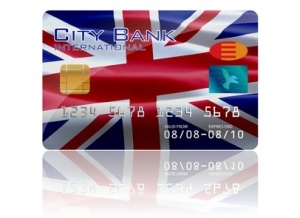 According to the informational UK Cards Association there were 55.6 million credit cards in use in the UK in 2010. At a quick glance it almost appears as if every adult in the United Kingdom must have one given the credit card to population ratio but that is not quite the case. According to the UK Cards Association those cards are spread out amongst 31.2 million people but that still represents 64% of the adult population. The latest survey also found that on average these UK credit card holders had 1.95 credit cards each in addition to at least one debit card with more than 20% of those surveyed admitting that they had 3 or more credit cards in their wallet. Credit card debt in the UK in 2010 stood at £54 billion dollars according to the BBC and as unemployment in the UK remains at a higher level that figure is projected to rise as more people have difficulties paying off their credit card balances. What Are the Most Popular Credit Cards in the UK? Branded credit cards are far more popular in the UK than they are in the US. The Virgin Money line of credit cards stands out as one of the most popular sets of credit card offerings in the UK with credit cards offered by supermarket giants Tesco in wide use as well. In terms of bank issued credit cards Lloyds and Barclays remain at the top of the heap but American banks like Capital One are starting to creep their way into the UK via their credit cards offerings. UK credit cardholders seem to look for a lot of rewards from their credit cards, possibly the biggest reason for the huge popularity of the Virgin and Tesco cards as they offer an awful lot of rewards and perks that are useful on a daily basis. For example, the Tesco credit card earns shoppers points on every transaction they make on the card and instead of having to go through the bother of redeeming the rewards on-line or in the mail as they can redeem the points as they want to at Tesco checkouts when they pay with their cards even in the retail section of the store or at the petrol pump at Tesco owned stations. Tesco credit card holders do not have to spend their rewards at Tesco though, instead they can redeem them for discounts on theme parks, concert events and on vacations. The Virgin Mobile Money credit cards are even more popular. In the UK Virgin are about a lot more than just music and an airline, the things the company is best known for in the US. Those who hold a Virgin Money credit card earn substantial discounts on Virgin Airlines, Virgin Mobile, Virgin Holidays, Virgin Wines, Virgin Active (gym services) and a number of other Virgin Services (there are a lot!) in addition to earning reward points. The cards are also known for their lower interest rates and good 0% APR offers. How Do UK Residents Use Their Credit Cards? One trend that has been noticed during the worldwide economic is that more UK credit card holders have been using their credit card to pay rent, mortgages and cover all kinds of day to day living expenses, rather than just for retail purchases. It is estimated that in 2010 credit and charge cards were used in the United Kingdom to make 2.0 billion payments in the UK to a value of £136 billion. Despite a recent slowdown in credit card spending British economists are still projecting that by 2020 that figure will reach £194 billion. One area of credit card spending that is growing is the use of credit cards to make purchases online by UK residents. In 2010 36.6 million adults made at least one online purchase, a full 72% of the adult UK population, with the average transaction being £66.00. UK residents use plastic – both credit cards and debit cards a lot too. According to Moneybasics UK in April of 2011 on average 24.1 million plastic card transactions are made on a daily basis, adding up to £1.156 billion and £7.7 million is taken form credit card limits in the form of cash advances.